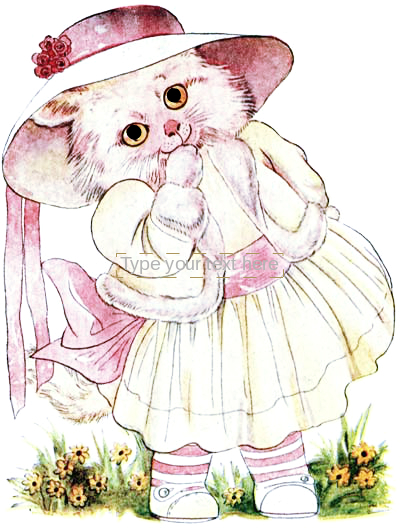 Vintage inspired clip art of a white kitten in a dress. From a vintage 1913 children’s book. Totally free to use for personal and commercial work without permission.